Harvest Properties provides professional brokerage services acting as both Buyer and Seller agents for properties in Massachusetts. Harvest Properties offers a maintenance project administration solution including arrangement of all recurring maintenance. 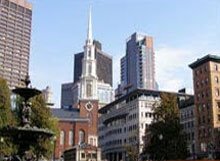 In addition to buying and selling property in Massachusetts, Harvest Properties also offers a full range of investment and rental property management services. We can find tenants for your property, collect rents, and handle emergencies. As the owner you can be as involved as you want in the process.